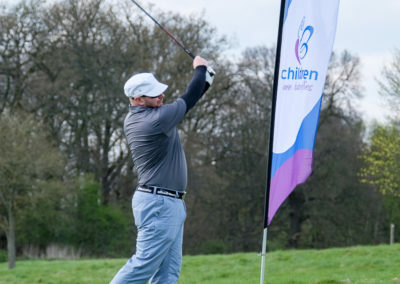 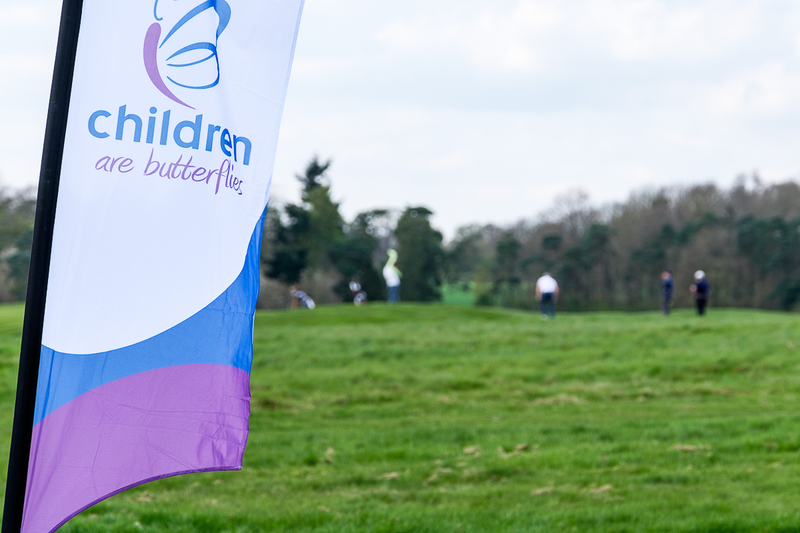 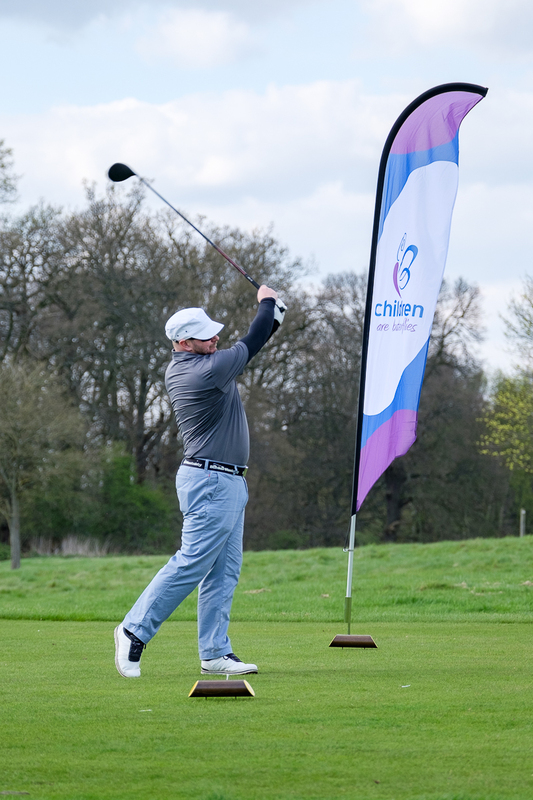 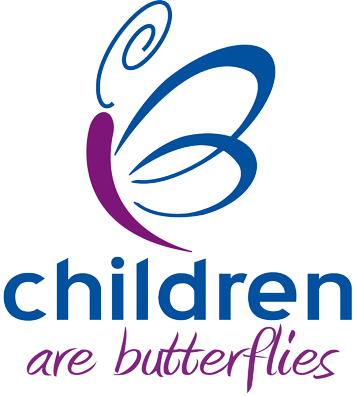 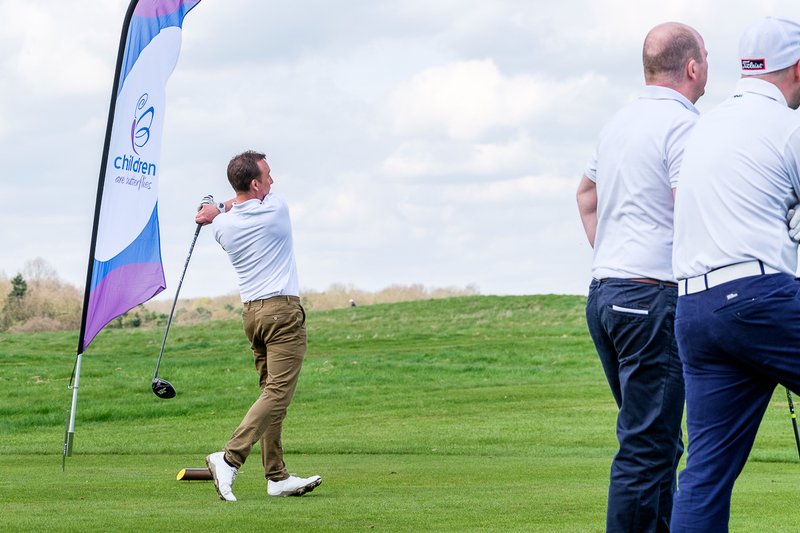 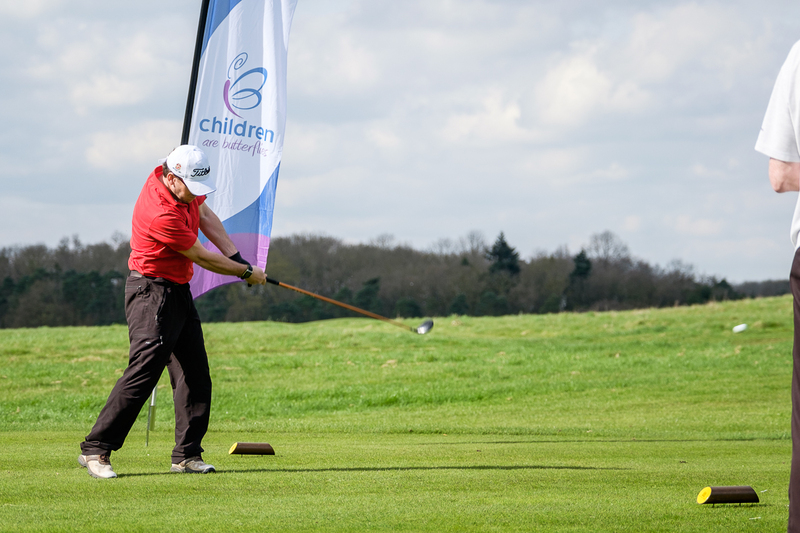 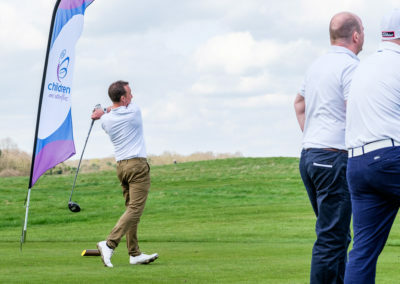 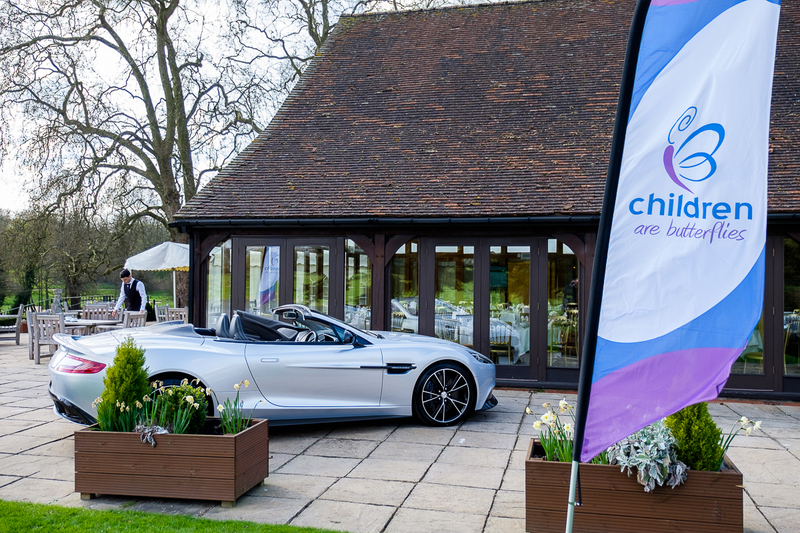 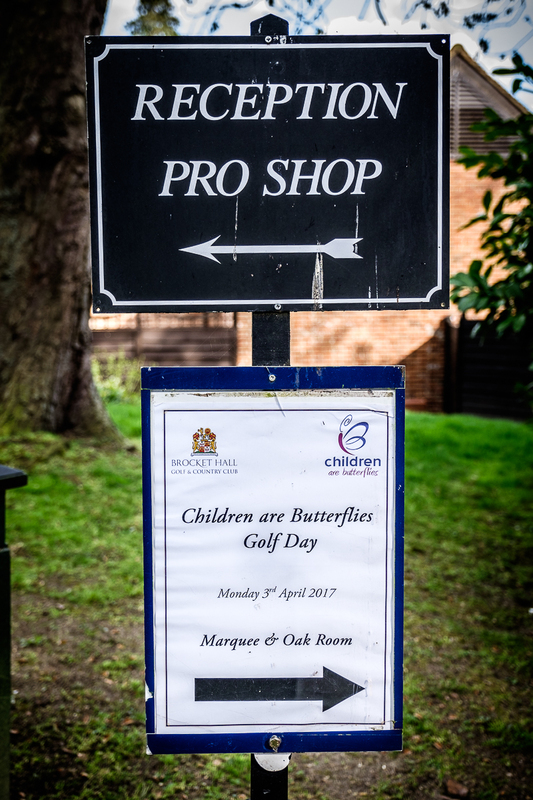 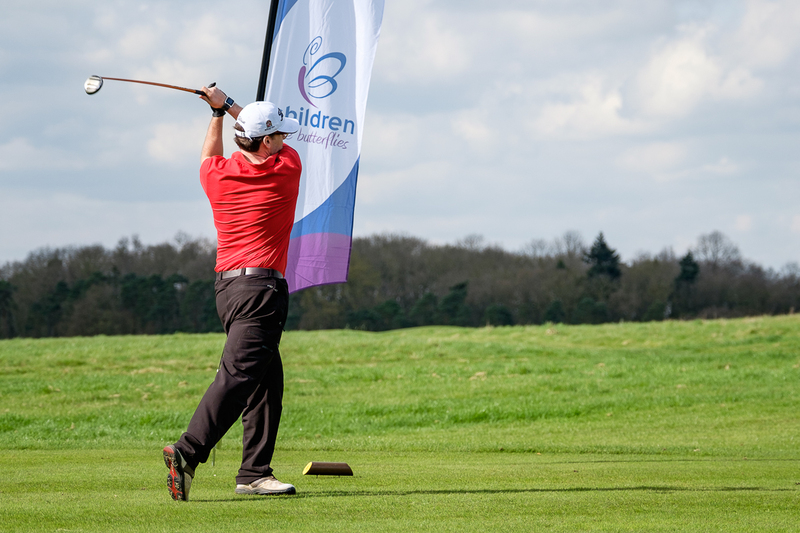 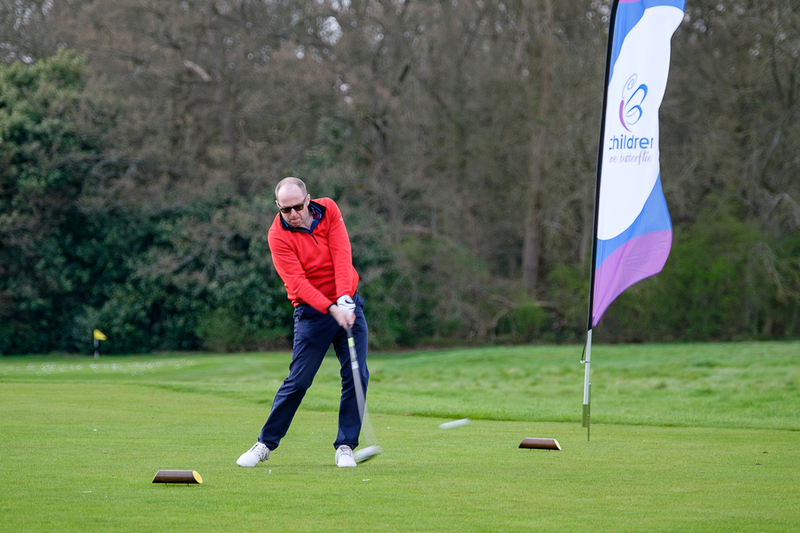 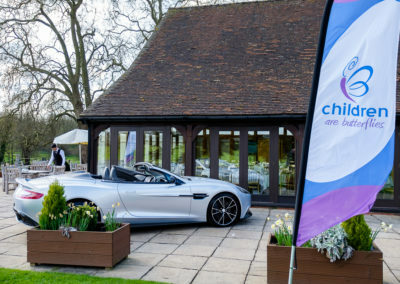 2016 saw the Inaugural Children Are Butterflies Golf Day, it was a raging success, and in fact the first event of it’s magnitude held on our behalf. 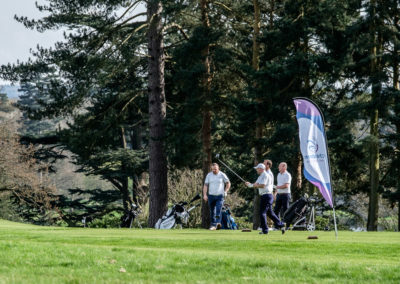 And thanks to the expert organisation by our good friend Ryan Grigg, the beautiful surroundings and hospitality of Brocket Hall, and of course the amazing generosity of the players saw an amazing sum being raised to support many families. 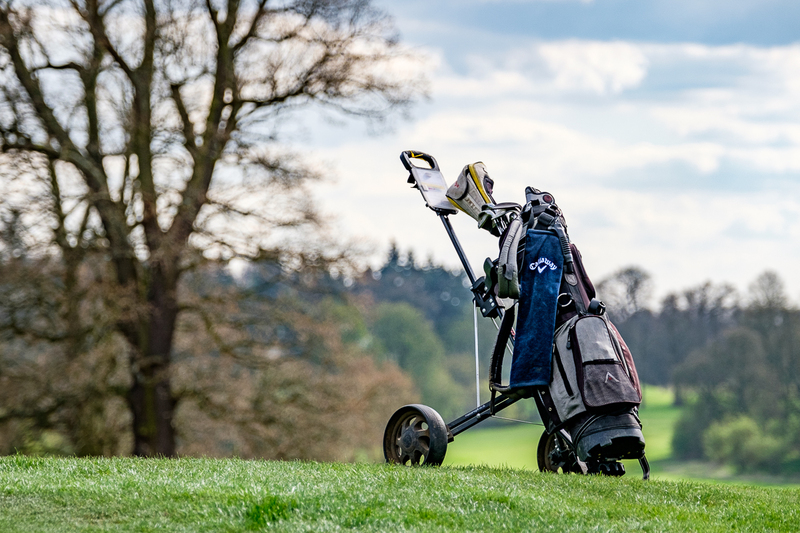 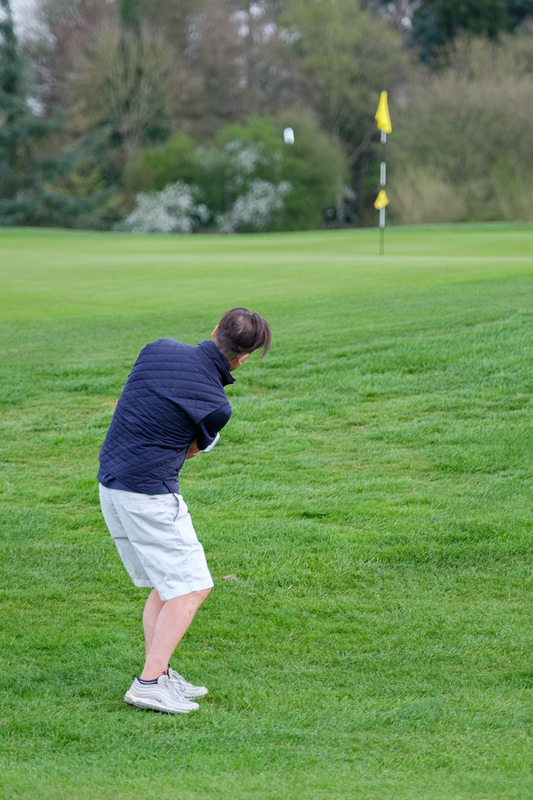 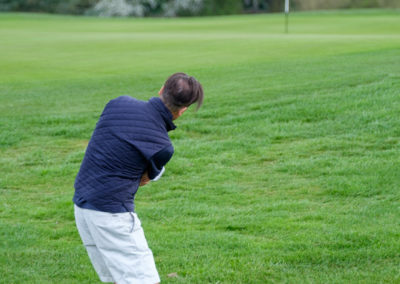 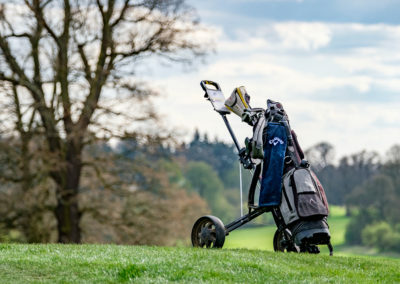 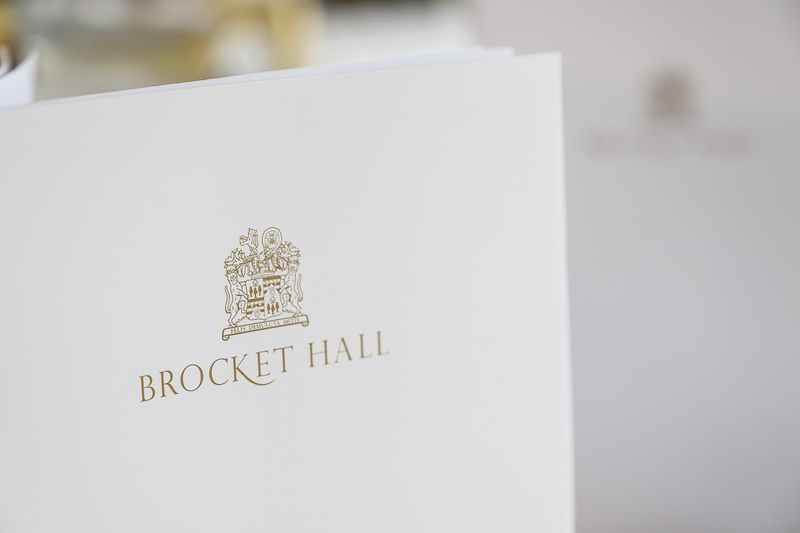 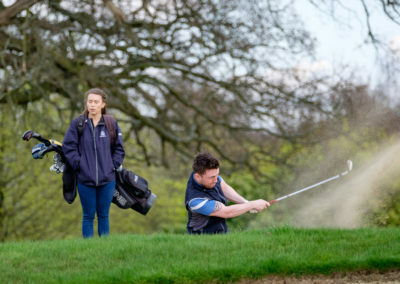 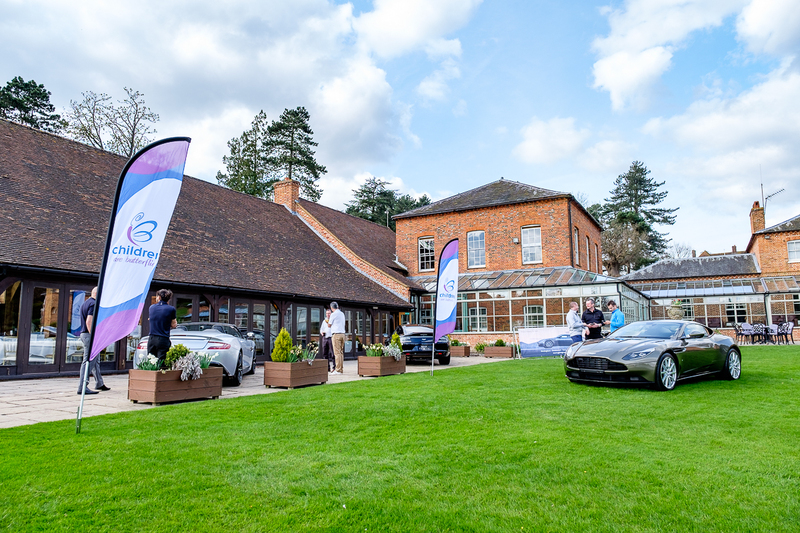 Needless to say, when Ryan informed us that once again he and Brocket Hall were hosting another Golf Day, we were of course over the moon, and incredibly grateful. 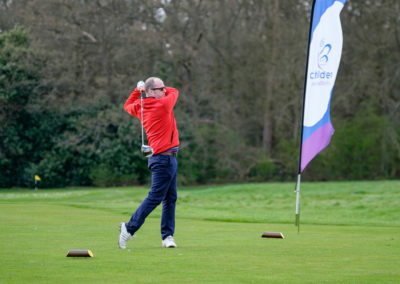 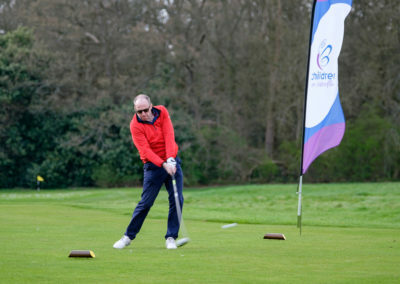 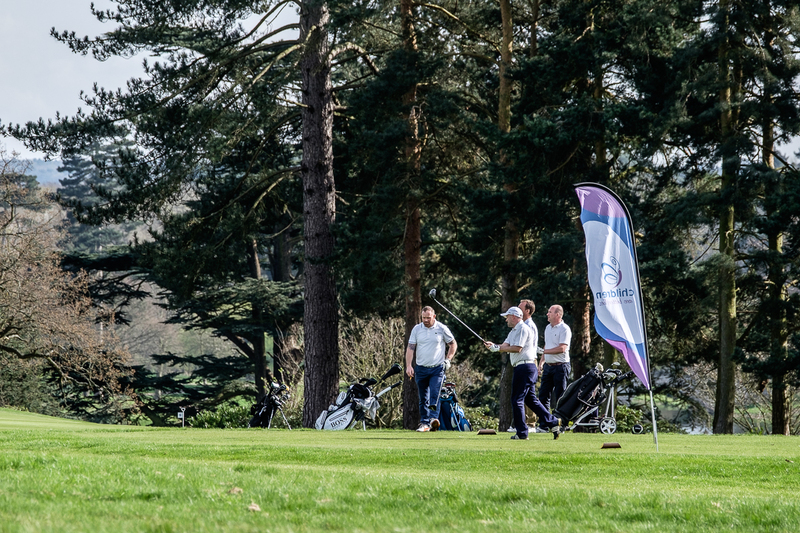 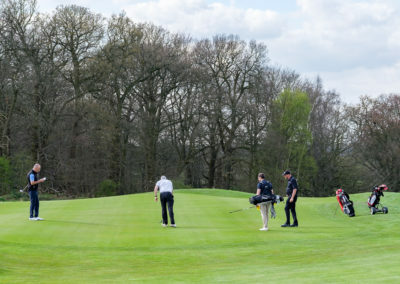 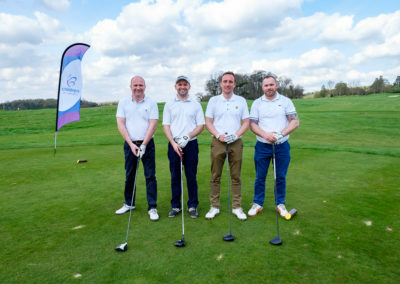 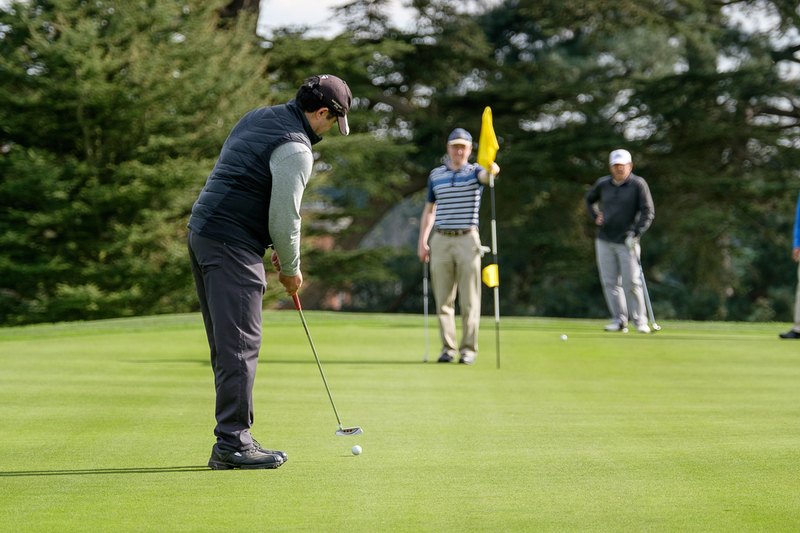 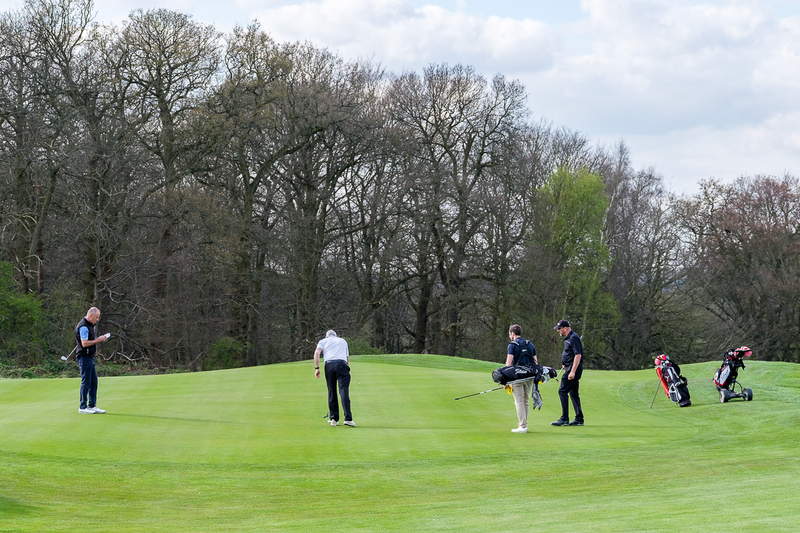 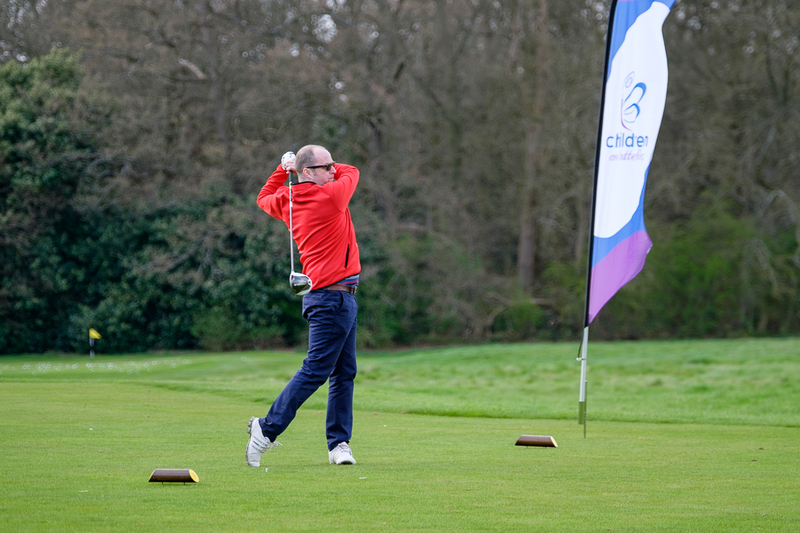 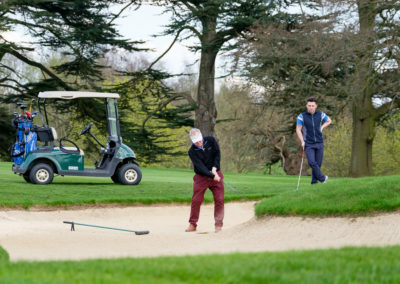 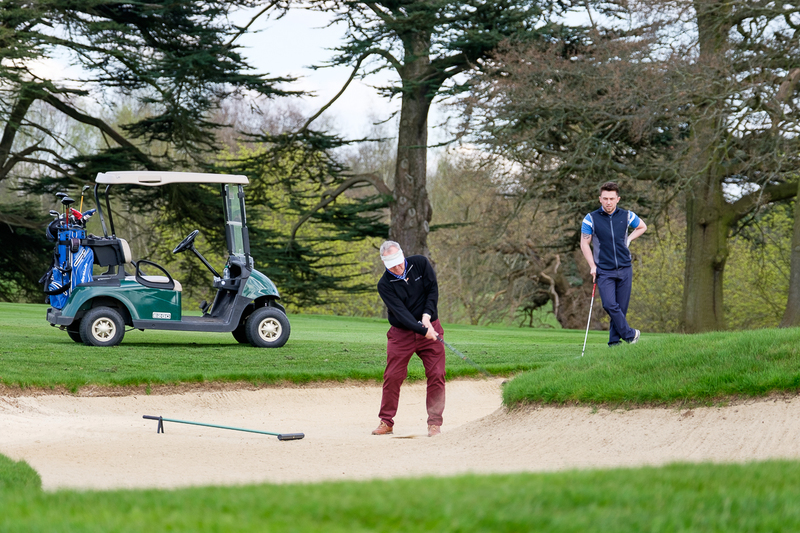 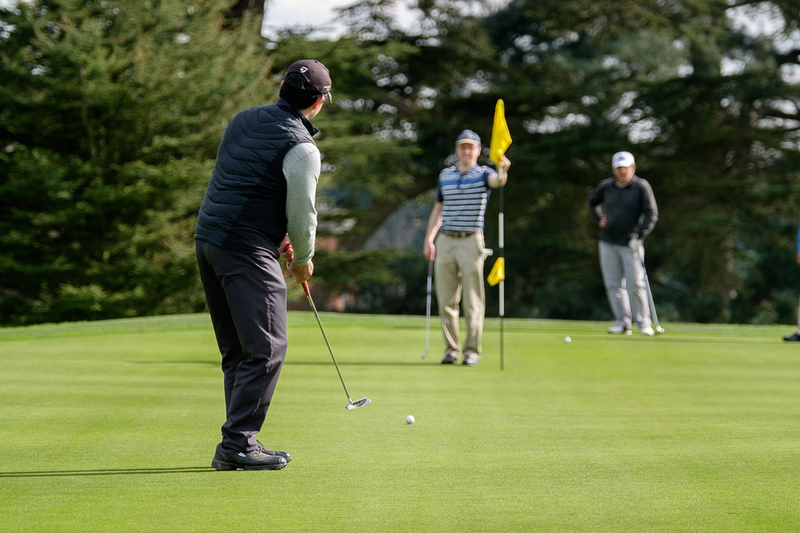 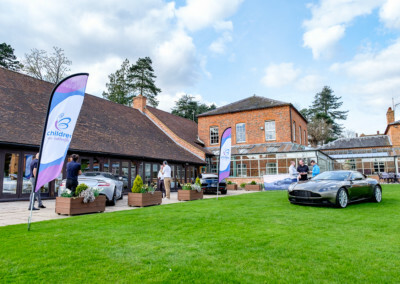 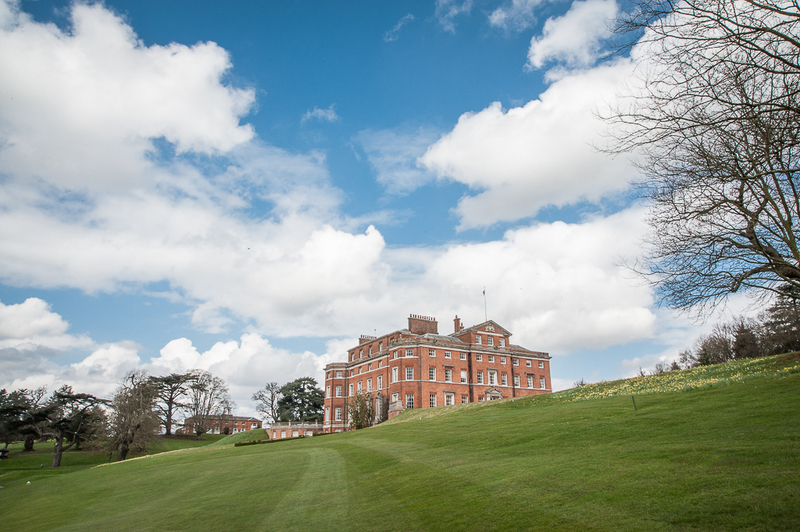 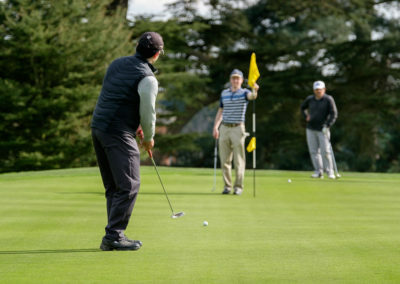 Once again, blessed by some glorious weather, this years Golf Day took place on the Palmerston Course at Brocket Hall. 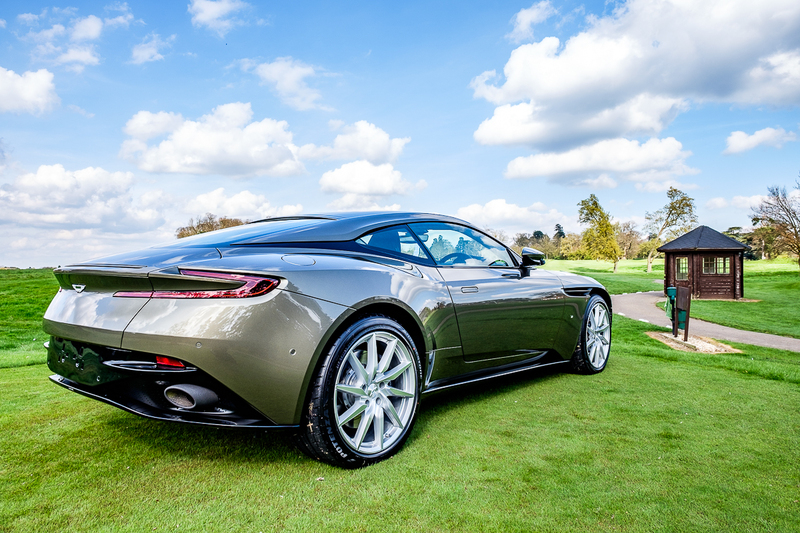 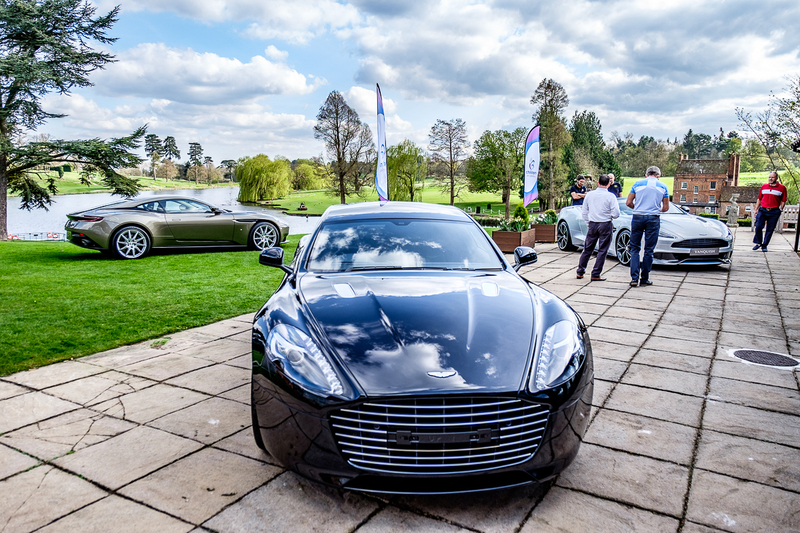 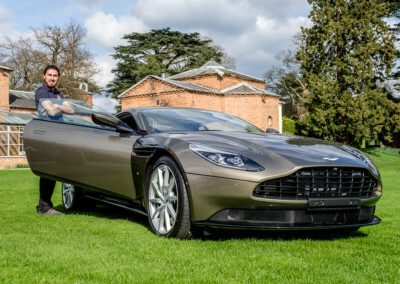 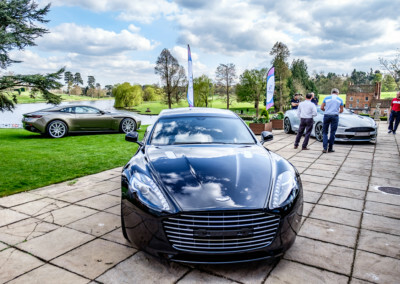 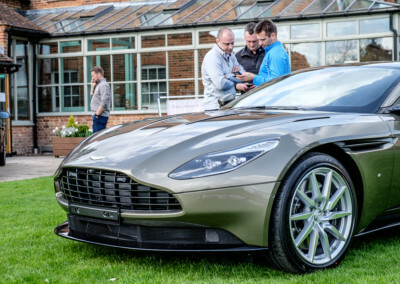 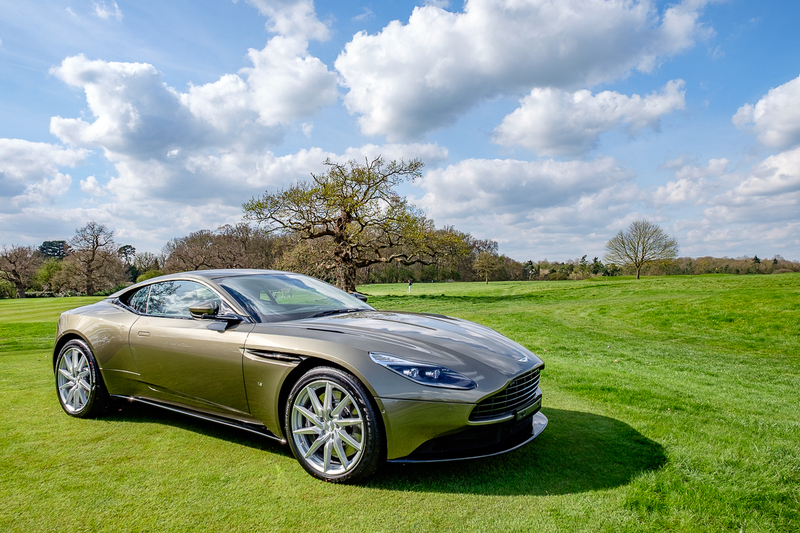 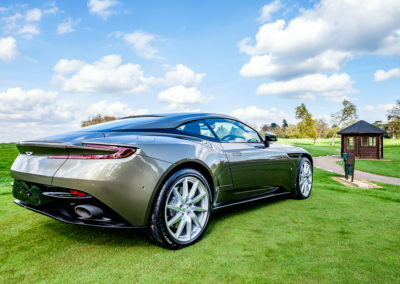 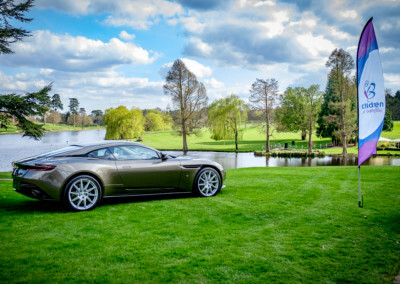 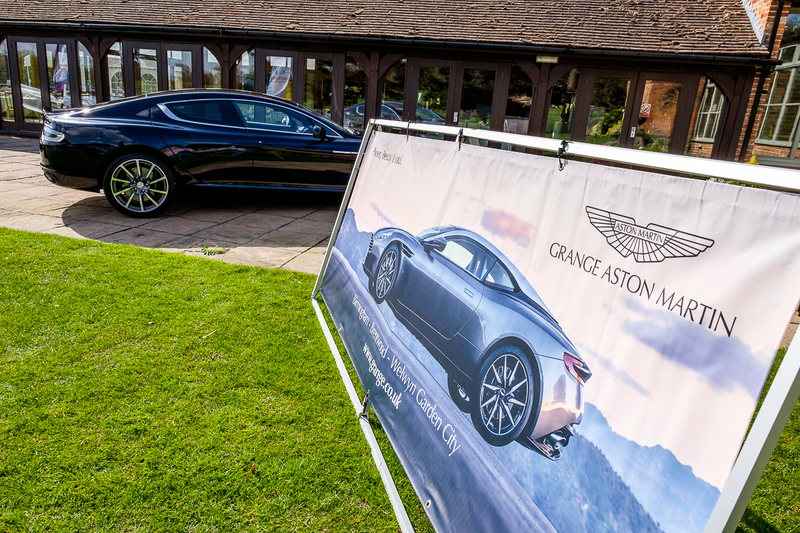 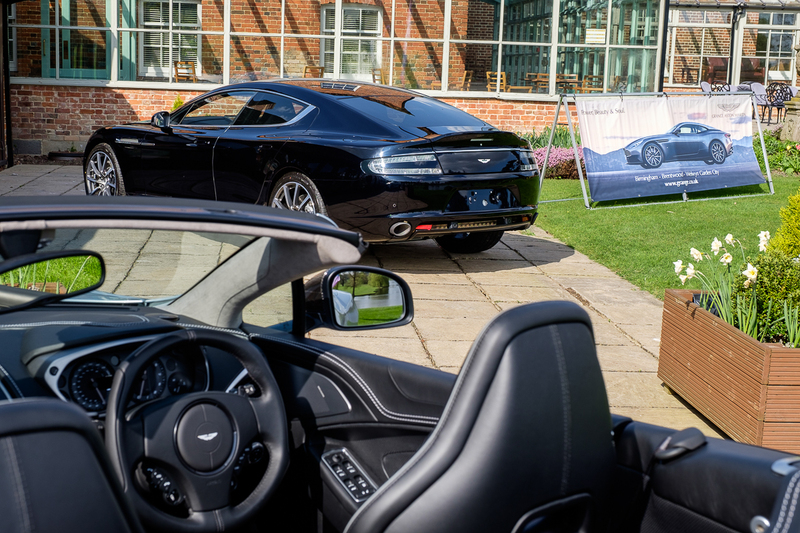 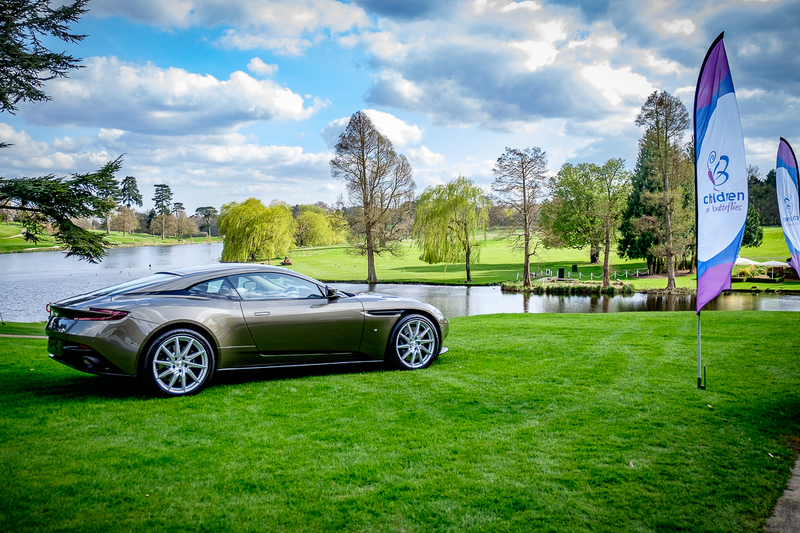 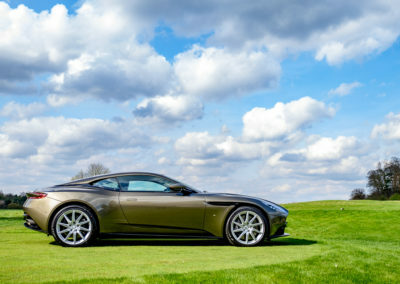 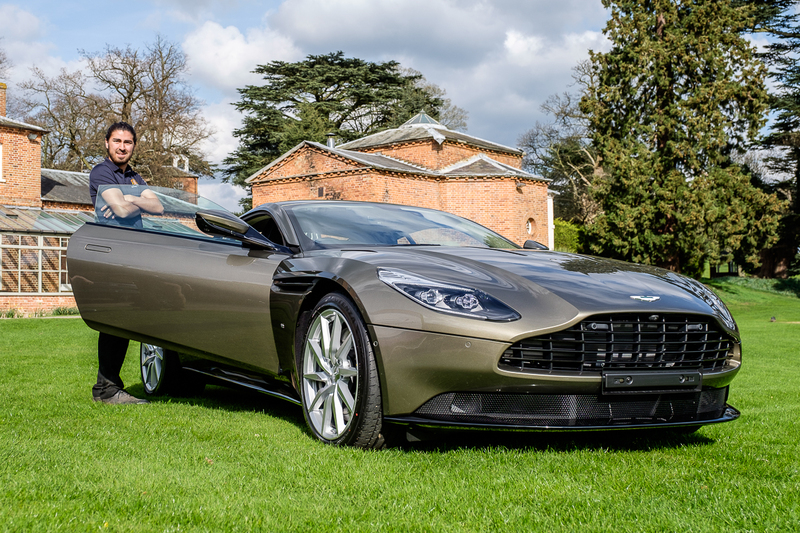 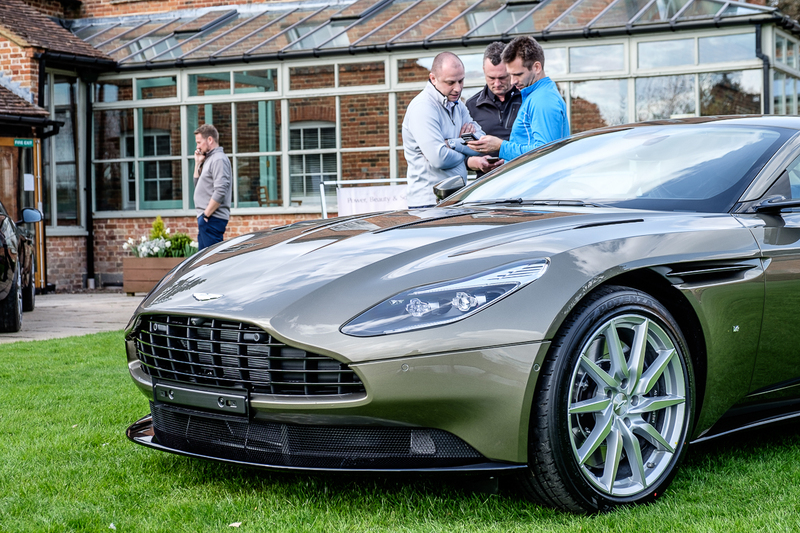 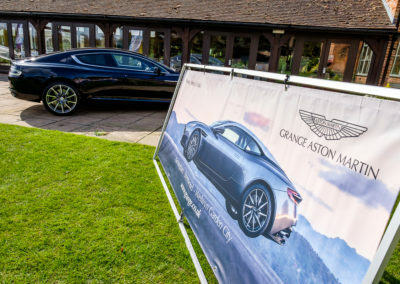 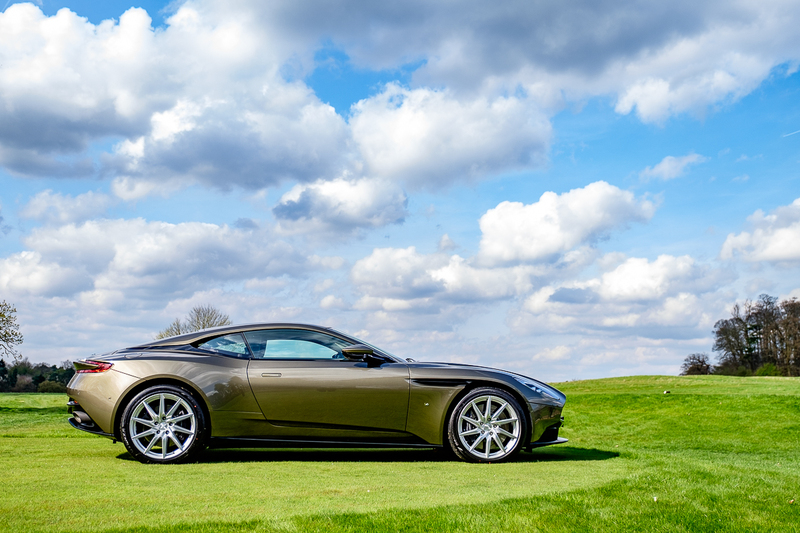 Aston Martins were on display thanks to the local dealership – Grange Aston Martin – with the brand new and simply stunning DB11 taking centre stage. 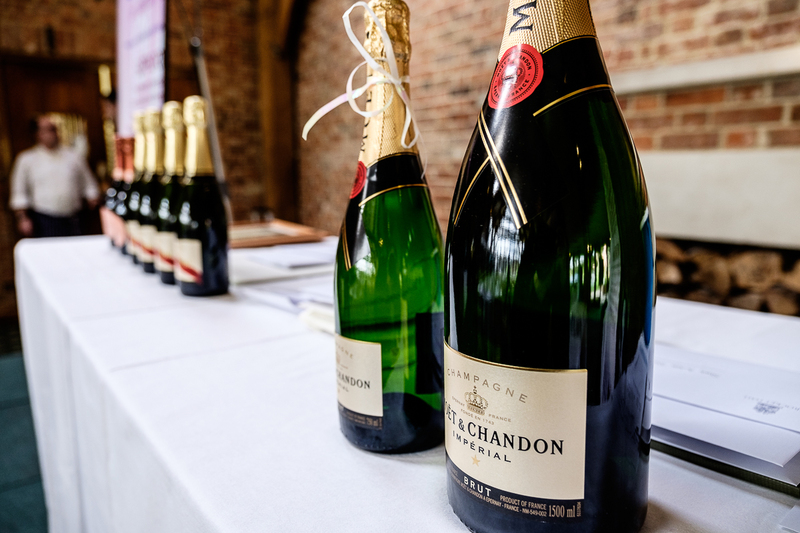 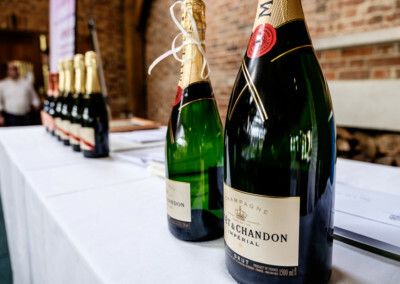 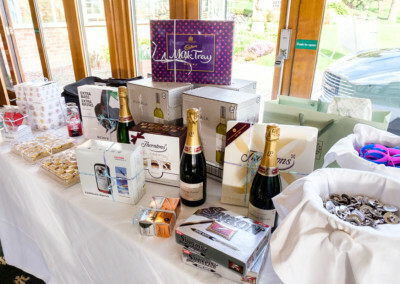 All the usual facilities were in place, much work had gone into the preparation of the Oak Room for the dinner, and all the raffle were organised and the auction lots prepared for later that afternoon. 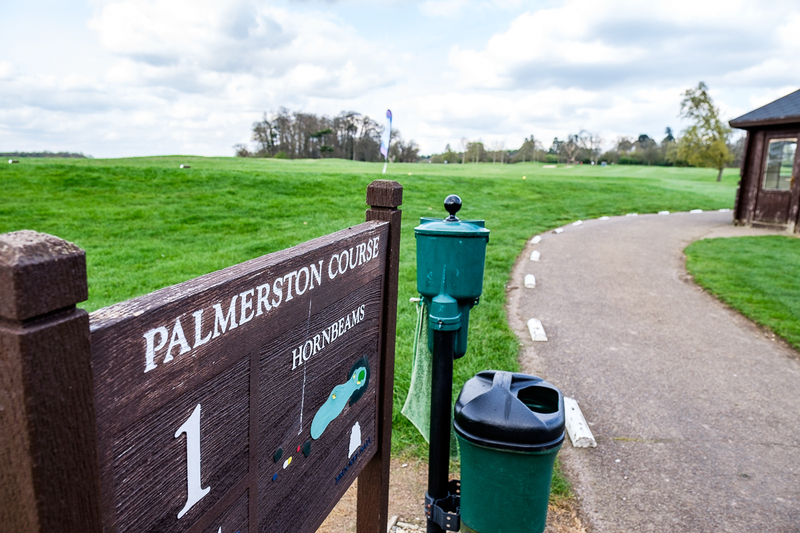 This year the teams were using the Palmerston Course for the days play, with the usual help of the GameBook scoring application that was linking live scores cack to the Oak Room. 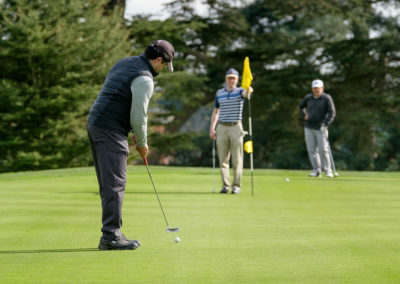 There was of course the on course distraction of a “Beat the Pro, Nearest The Pin” competition. 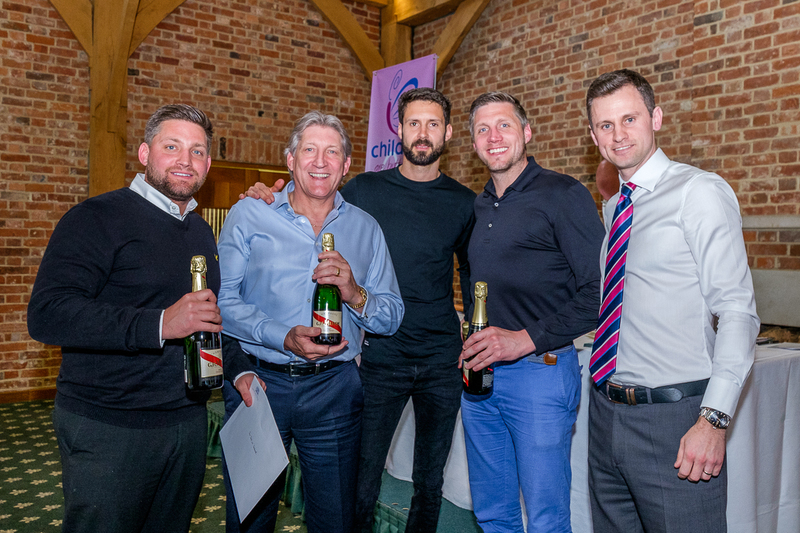 Just as last year, once the players had all returned from the course they were treated to a fantastic dinner laid on the Oak Room, followed by the auction and raffle. 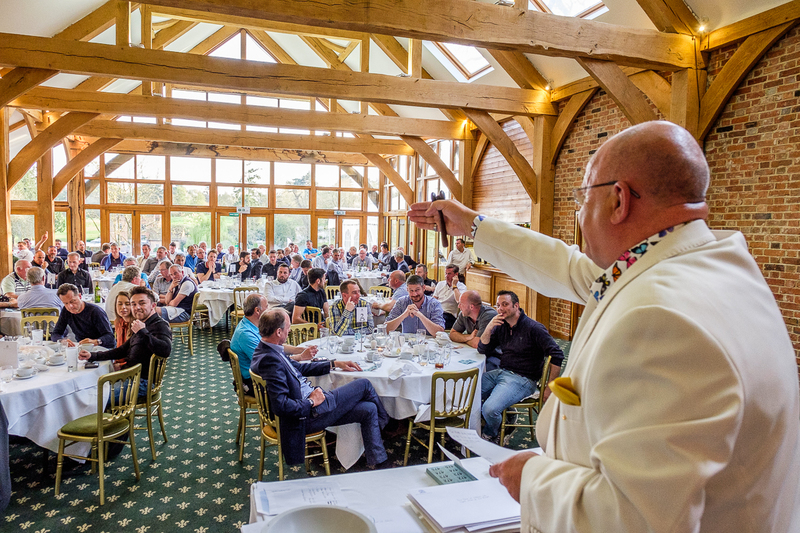 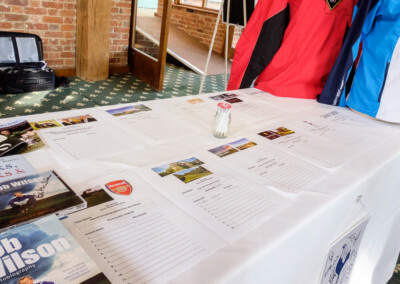 Some of the bids for the numerous auction lots were simply stunning and the generosity of the players was awe inspiring, we will never be able to thank them enough. 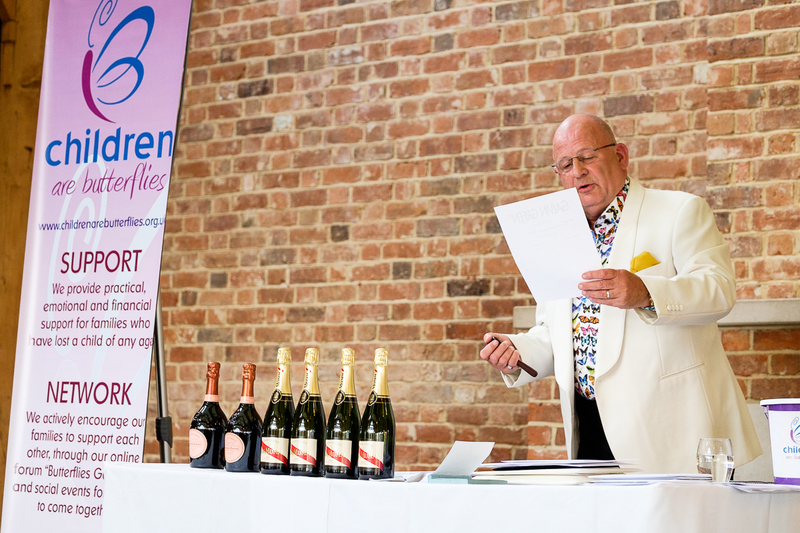 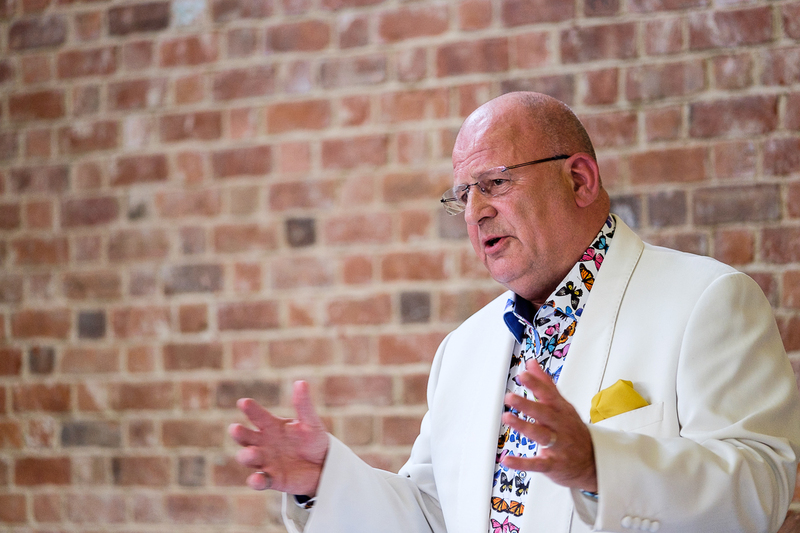 Once again our good friend, and local Civil Celebrant Peter Wyllie acted as MC and auctioneer for the evening. 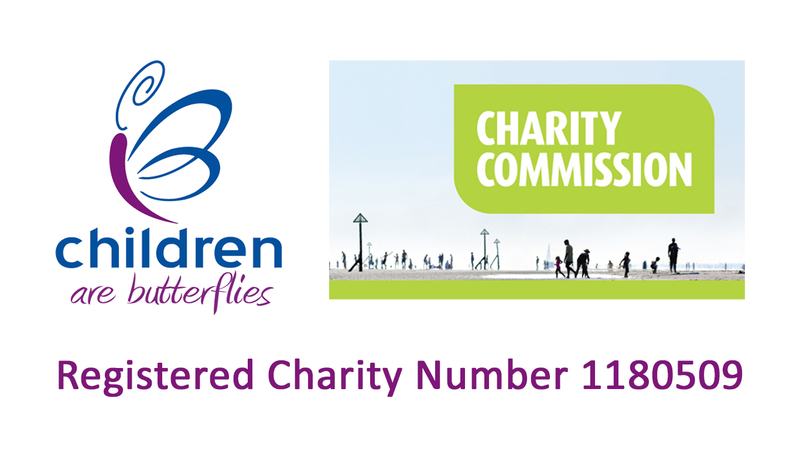 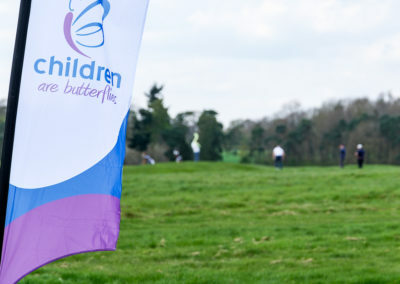 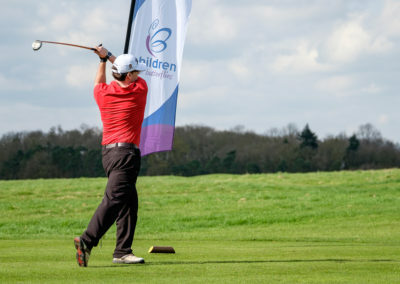 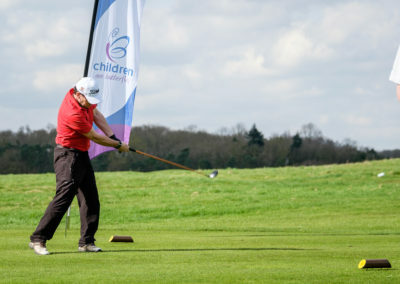 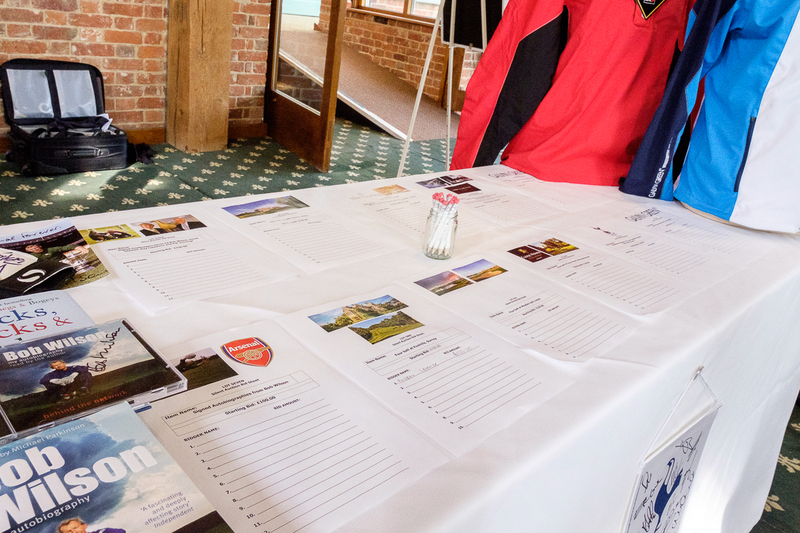 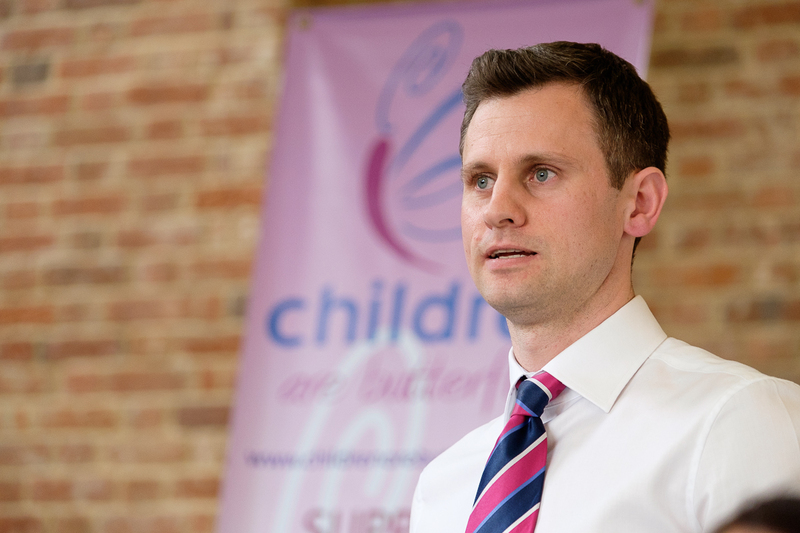 Once again we have been truly humbled, the second ever Golf Day for Children Are Butterflies and even more money raised. 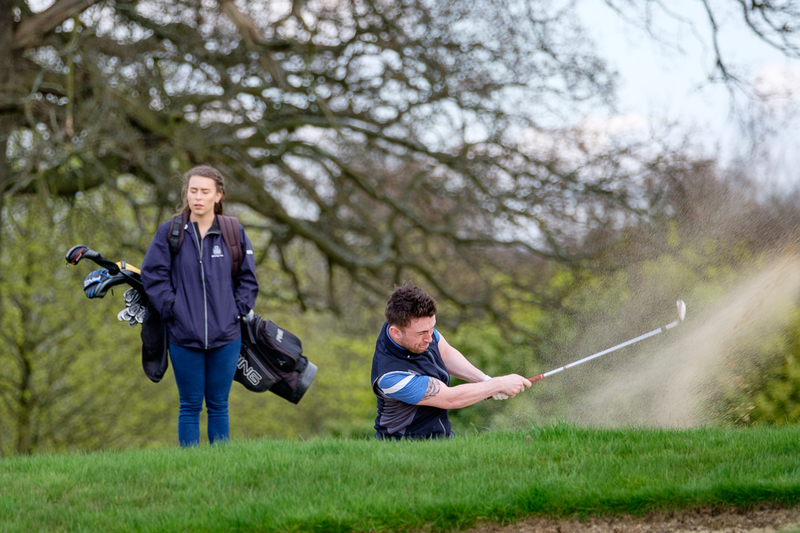 we thank everybody involved: Ryan and Laura, Brocket Hall, Peter Wyllie and of course the players themselves, we are truly grateful.